Working together for over 25 years, we have designed a wide range of facilities for this aircraft manufacturer, ranging from office space to testing facilities. When Cessna decided to construct a jet service center on their home campus in Wichita, customer service was at the heart of their design requirements. The key to this hospitality was the creation of an upscale food service operation to serve their employees, guests and customers. Large expanses of windows provide diners in this corporate food service establishment a full view of the aircraft parked outside. 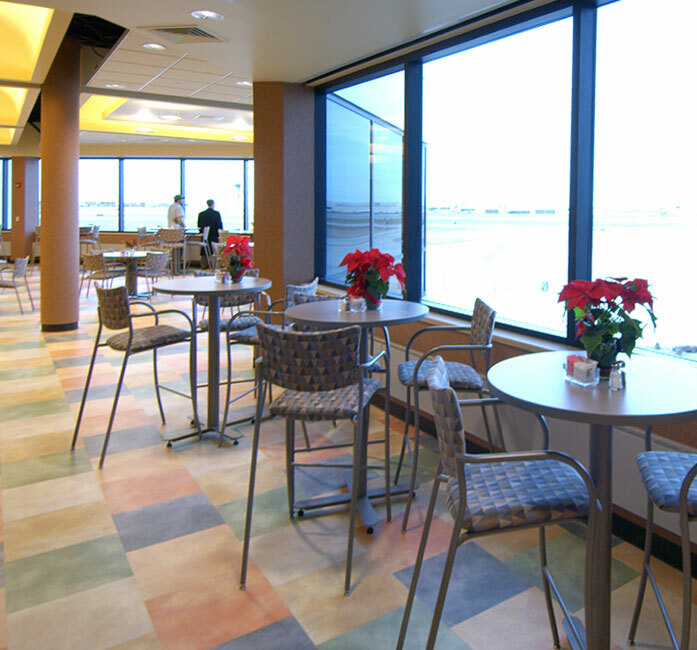 Dubbed the Cessna Citation Café, a full menu of entrees as well as lighter fare are offered in a casual dining environment. A multicolor palette of materials and fabrics contribute to the ambivalence of this bright, inviting space.